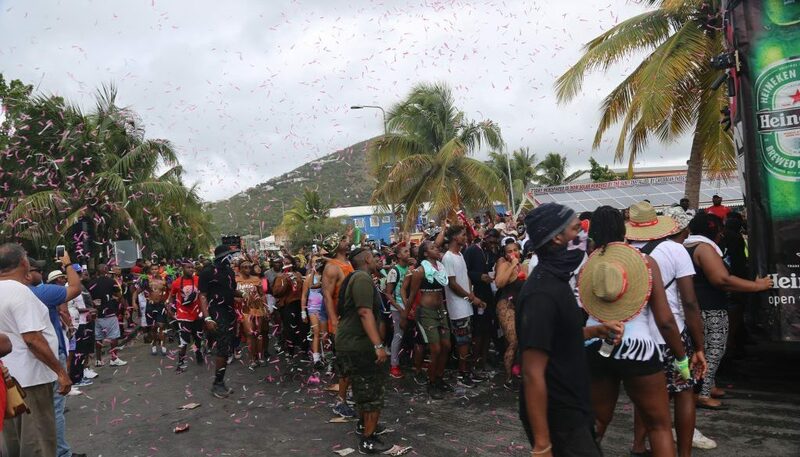 St. Maarten Carnival celebrations for this year 2017 is about reaching its highest point when one of the most popular event of its kind at Carnival, Jouvert Morning jump up, was held on Thursday morning April 27th from 4:00 AM until finish near mid-morning. A record number of bands and carnival revelers participated in the early morning create your own costume dance, to in some cases organized groups for Jouvert. The Event is one of the most attended function for carnival on St. Maarten by carnival revelers and onlookers from the region including Anguilla St. Kitts & Nevis Aruba and Curacao, along with most people from the Island who seem to use Jouvert morning to let themselves loose and without care, letting off all the stress.